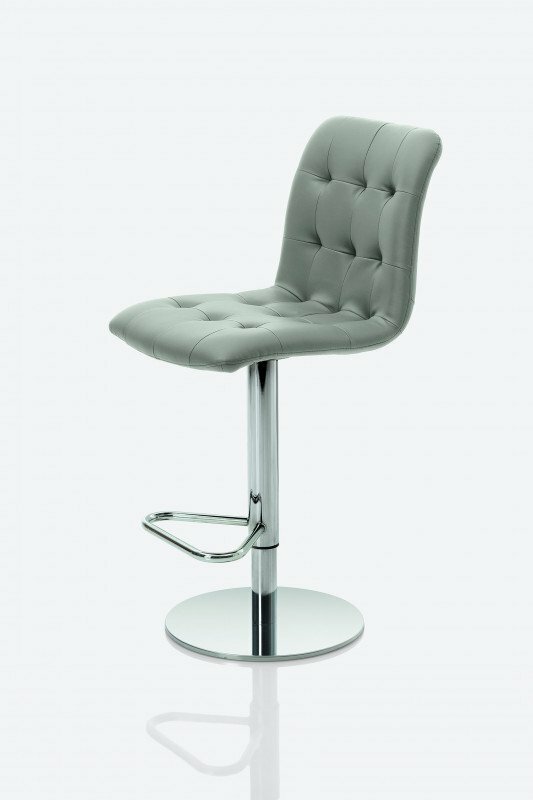 A beautiful contemporary stool with a chromed base, footrest and column. 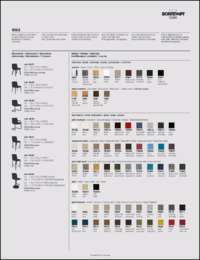 The seat is generously padded and covered in eco leather. 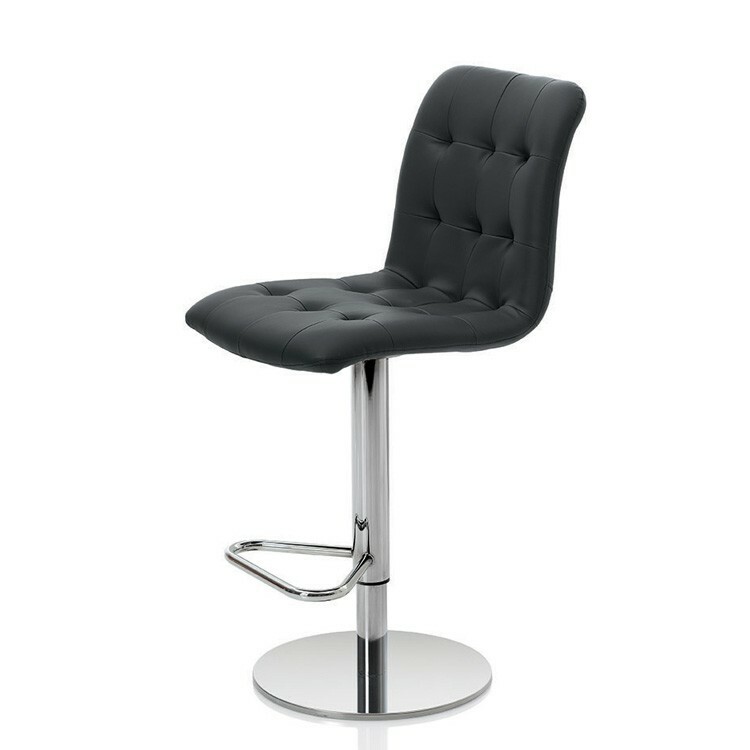 The stool height is adjustable thanks to a gas lift hidden within the central column. 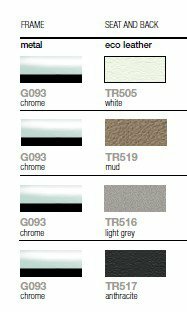 Many other upholstery finishes are available. Please call for details.